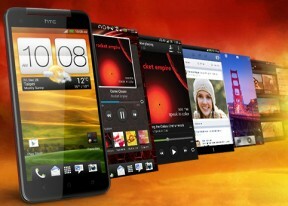 HURRAY HTC has scored self goal, and their biggest blunder once again. Like many fellow members have commented,it seems that the process which company follows rigth from what should be the new phone like to the after sell sevice has a huge deficite when compared to what is expected out of them. This clearly outdo's their engineering department making nice phones, but also clearly explains why they made huge losses last quarter and are going to do again this quarter. One wonders with the pricing of 45,800/- INR and s3 29xxx INR (along with 12 month interest free installments from samsung itself) why would one want to pay HTC the amount they are asking. After all s3 also most sufficiently does all the job what is expected from a smartphone. and for HD display, boss it does not make much of difference in day to day life at all. What? I am happy to see the power button back in place where it belonged for ages (not exactly). I was happy that the power key was out of reach (on my old nokia phones). Unlock button ok, but combined with the power button was a stupid idea. Never liked it! Despite the fact that I am no HTC fan I need to admit that back in time they always managed to impress me with such little logcial human touches. Mwardah, 19 Feb 2013Enough said , They made an Andriod version of the Iphone 5 .What i really hate about HTC is th... moreSaying that HTC marketing is bad is a huge understatement, Their marketing SUX bigtime!!!! Remember when One X and GS3 was available, there were GS3 ads everywhere, like it was the only phone at that time, people were like... HTC what?!?!? AnonD-110379, 18 Feb 2013HTC, it seems, has done an iPhone 5-like job at screen calibration, as you can see in the last... moreEnough said , They made an Andriod version of the Iphone 5 .What i really hate about HTC is that the company is not doing a good job with Marketing their products like what Samsung is doing for example.Everything has become all about better marketing strategies these days,So i'm afraid that their efforts with developing performance will be useless if they neglected the Marketing Section . AnonD-80440, 18 Feb 2013butterfly`s screen is much better than xperia z: check it: http://www.pcwar.com/wp-content... moreTrue. AnonD-78383, 19 Feb 2013Thanks alot for pics psysect Xperia Z just got owned by a butterfly! So Sad! Sony fanboys r... moreYou're right , they made a huge hype for the camera on the Xperia Z and it turned out to be as normal as what the current 8MP sensors can do .Even with the Disply despite the fact that it's a 1080P disply , it was a bust . The viewing angles is really horrible with all sony devices even with their so called Bravia Engine 2 Tech. Ooh , i forgot to mention the Audio quality, all i can say is this : "WOOOOOW" . I really love this device the disply is really Impressive maybe the best disply in a smartphone ever.everything is going smooth and fast , nothing to complain about .The camera is good but it could have been better . AnonD-77852, 19 Feb 2013What a beast will the M7 be with a smaller screen, bigger battery, and a revamped UI... Can't ... morehtc ONE will destroy both with uniqu spc .. It is interesting to have such pixel density for the phone of such caliber.......hope, it soon starts selling in Indian market...!!!!! Z -- better design, performance, UI, camera, build quality and everything else. My vote goes to the Z... I can live with a screen of Xperia quality but cannot afford a horrible camera of HTC and heavy UI. Z is better when viewing from front. Which is all that matters. LONG LIVE PLAY LONG LIVE SONY. Xperia Z just got owned by a butterfly! So Sad! Sony fanboys read the review on the Z & won't accept the fact that it's trash. Even HDR mode was over-hyped (something I was looking forward to seeing actually) it was all hype made by Sony. They took the bait made by Sony & took a huge bite on the fishline & they refuse to let go, even now. I can see the ratings of the Z drooping already. The red Butterfly is gorgeous!